Today’s modern lighting options are vast in number and high in quality. Yesterday’s selection of incandescent bulbs is now replaced by numerous styles, each yielding their own benefits and drawbacks. As a homeowner or tenant, you’ve probably had the experience of shopping for new light bulbs for your home lighting fixtures. The process can be overwhelming, which is why our lighting store in Omaha is here to help! The Light Palace at United Electric has been providing quality residential lighting products and advice to Nebraskans for the last 60 years. Our comprehensive lighting showroom has thousands of outdoor and indoor lighting products that are all backed by a knowledgeable team to help you find exactly what you need! The Light Palace is dedicated to improving our customers’ lives, and teaching our craft is how we achieve this goal. Today, we’ll look at the different types of light bulbs that you can find, along with recommendations for which choice to go with for your home. When you’re ready to get started on your project, be sure to stop by our Omaha lighting store! While there are many unique styles and designs of light bulbs, we’ll narrow the list down to our four top sellers. 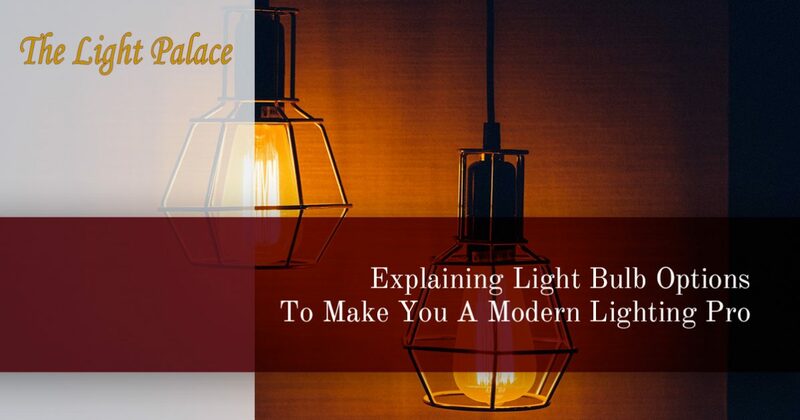 Whether you need wall lights or a reading lamp, The Light Palace is here to provide the best solutions for illuminating your life! Known as the standard, this is simply the quintessential light bulb. Incandescents probably match the image that you conjured up when imagining a light bulb. This classy bulb utilizes a filament that is heated until it begins the glow. This glowing reaction is the light source. While they are the most affordable option, incandescents happen to also be the least efficient and shortest-lasting of the lighting family. You can expect about a year’s worth of illumination from this bulb, coupled with an energy bill that will be nowhere near enjoyable. The heat from an incandescent is both a hazard for touching with your hands and for fire safety. People choose the standard for the initial price tag, yet the long-term savings of other options often make this bulb an outdated option. Our government is in the midst of a phase-out for incandescent bulbs, equating to a finite amount being available. If you’re a die-hard fan of incandescents, be sure to stock up! Halogens are as powerful as they are bright. Filled with halogen gas, this bulb utilizes the same process as its incandescent cousin, heating up until the interior filament begins to glow. One positive is the efficiency of this bulb with its halogen consumption. While you will receive a strong source of bright light, it’s important to note that halogen bulbs tend to last as long as standard bulbs. The heat is also a concern here, especially if the oils from your fingers make contact with the bulb itself. When super-heated, the glass can explode, creating a hazard and an inconvenient trip to the lighting store. When you think of fluorescent lighting, you’re probably imagining the long tubes that illuminate home improvement stores, offices, classrooms, and more. The key to this bulb option’s success is mercury vapor, which glows once electricity is introduced to the apparatus and makes contact with the bulb’s interior coating. A ballast is required in order to deliver a consistent current to the bulbs. Fluorescents are cool to the touch, yet they can create a health hazard if the mercury is allowed to escape. This mainstream lighting method lasts much longer and provides a boost to energy efficiency. 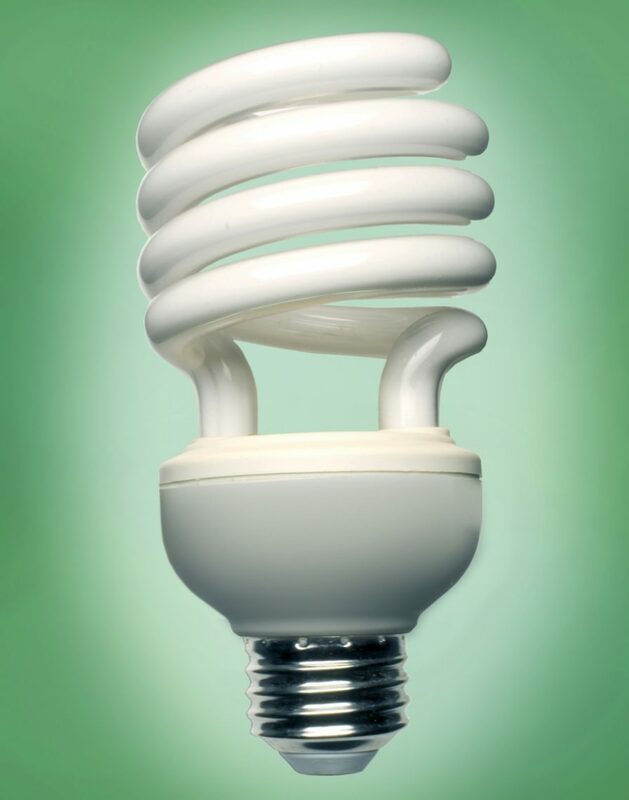 Compact fluorescent (CFL) light bulbs represent the innovations of modern lighting. Essentially, this bulb is a miniaturized version of a large-scale fluorescent, creating an electric current that connects to an electrode at each end of the glass tube. CFLs are efficient and long-lasting, setting the pace for how modern lighting should be done. Light emitting diode light bulbs utilize an electric current that passes through a semiconductor, illuminating the tiny diodes within. One key advantage is that LEDs utilize a heat sink during operation, keeping bulbs nice and cool. The lack of heat buildup equates to a product that is safe to the touch and better for saving money on air conditioning costs. LED bulbs also take the cake for durability and longevity. Modern technology makes LEDs very efficient, using six times less energy compared to incandescents. LED bulbs also last up to 42 times longer! Whereas an incandescent bulb is project to last 1,200 hours, LEDs are rated to hit 50,000 hours. While more costly up front, one single LED light bulb will allegedly last as long as 42 incandescent bulbs. The cost of 42 standard bulbs definitely adds up! Finding the perfect light bulb for your home can be a challenge, but our experts here at The Light Palace are ready to help! Featuring a plethora of modern lighting options, our showroom is here to supply Nebraska with the illumination it needs to look forward to the future. Contact us today or stop by our lighting store in Omaha to see what we can do for you!